I immediately PINNED it and wanted to case it. Though I HAD to use this stamp once I saw her card. Maybe you know how that is? You see a card and BAM, you have to pull that stamp out! I just ADORE this STAMPABILITIES sentiment!!!! 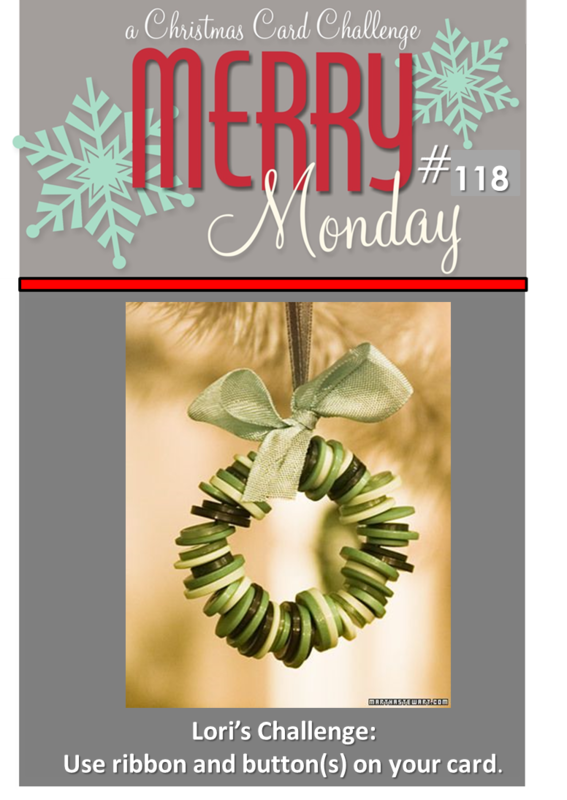 Posting to Merry Monday #118 Ribbon and Buttons!!!! Your card is beautiful. I like that is's bright and bold. The patterned background adds rustic style! Well done! Beautiful Christmas card! Love the sentiment!!! While I loved Kim's card, I love it with the buttons just as much! What a beautiful wreath! I'm so glad to see you back at Merry Monday, Kimberly! I love your card...that wreath is so beautiful. super CUTE! You must have a pretty good stash of Christmas cards! Love the wreath, and the button embellishments! 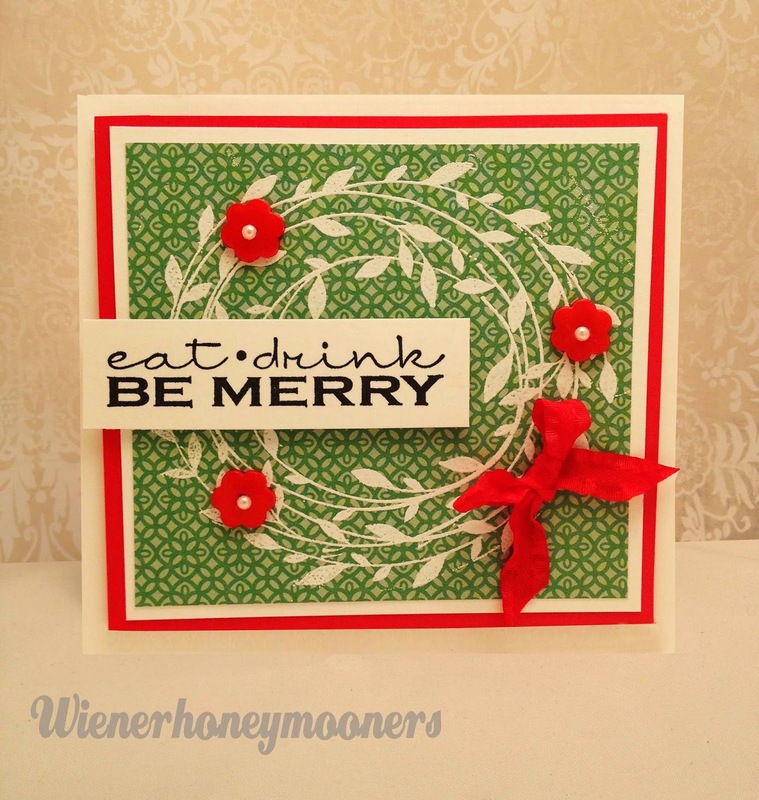 Fabulous card and I love the wreath. Thank you for joining us for Merry Monday. Beautiful CASE, Kimberly! Love the wreath with the buttons. Great to see you at the Merry Monday challenge. Great card Kimberly. I like the colours and the pretty flower buttons you used. Thanks for sharing at Merry Monday. I LOVE this! 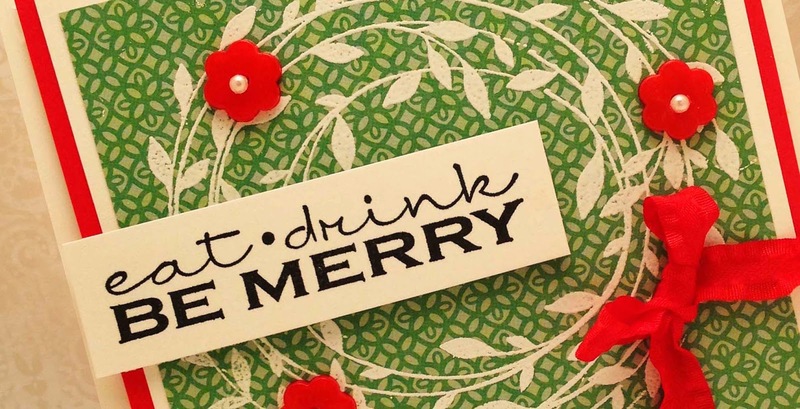 The wreath on the patterned paper - the splashes of red - and it really is a fabulous sentiment!